Personal Training: A need for Interim Managers? Some things just don’t have a price. In the current economic system, everything has to be bankable, companies expenses must decrease and competitiveness grow. For that to happen, companies must first of all focus on internal skills. A very simple principle can illustrate the work of interim managers related to training. When we purchase something, we lose a certain amount of money. if an investment pays for itself in time, you still have to part with some money at first. It is the opposite with knowledge. When we share knowledge and experience, we don’t lose anything. This isn’t a price, an amount of money spent to loss. Interim Managers share their experiences, this makes their coworkers “richer” and of course, themselves as well. Every time they do so, they become better trainers, sharers of experience. Even though interim managers are qualified by the experience they’ve gained throughout the years, some changes actually do require adaptation. Training organisms are multiplying, and some very specific skills necessitate such an investment. That being said, interim managers make the difference by their incredible capacity to learn from others. This is especially due to the numerous “missions” (or contracts), they are involved in. It is also due to the numerous coworkers they get to collaborate with. Just as they know how to seize any opportunity to train others, they recognize any situation where they can improve their skills and knowledge by those of the others. Their creativity generates more occasions to learn from others. The time and efforts invested to learn new skills of new business methods can seem to be wasted. As if they were too expensive, not worth it! 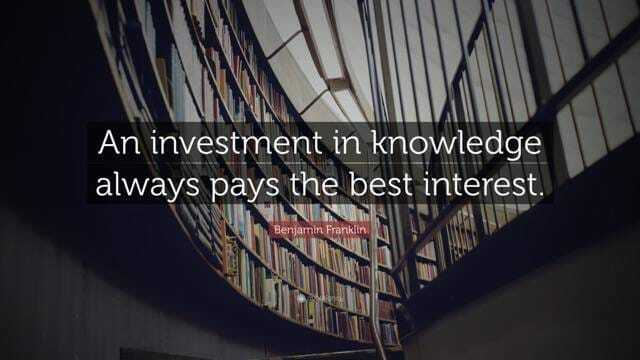 To invest in knowledge in never wasted. On the opposite, it makes one richer. Personal training allows Interim Managers to be competent on a broader market, to deepen and sharpen their expertise. At Reactive Executive, we make it a priority to collaborate with the most competent interim Managers, those who always want to gain in competence. It is vital for us to to have the partners who will fit your needs the best, to grow your company’s productivity and lead to success. Our interim managers are also expert trainers in management mastering, which your employees will durably benefit from. For all your needs in interim management, contact us! Is the Interim Manager an Entrepreneur? Thanks for helping me learn more about interim managers. I didn’t know that because they do a lot of different contracts, it can actually generate more chances to learn from others. I’m interested to learn more about some of these experiences they can receive and how they apply skills they learned from other jobs to new ones.